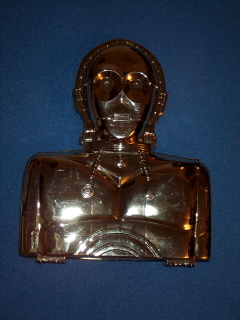 This is an early version of the C-3PO storage case that lacks the detail around the eyes and forehead. Similar cases have also turned up in test packaging. The metallization is similar to a production case.